Manufactured by Southwire, ROMEX® is a widespread type of residential wiring used in many home applications. Also called Non-metallic (NM) sheathed cable, ROMEX® consists of two or three Thhn wires and a ground wire. There are four main types of ROMEX® wires, each delivering different amperage and denoted by a separate color for quick recognition. Yellow ROMEX® can be seen inside an electrical box. With the lowest amperage available, white ROMEX® has a load capacity of 15 amps. It is commonly used for outlets, lights and smoke detectors in the home. This 14-gauge wire is called 14-2 when two insulated wire conductors are included and 14-3 with three wires. The heavier, yellow ROMEX® is rated at 20 amps. 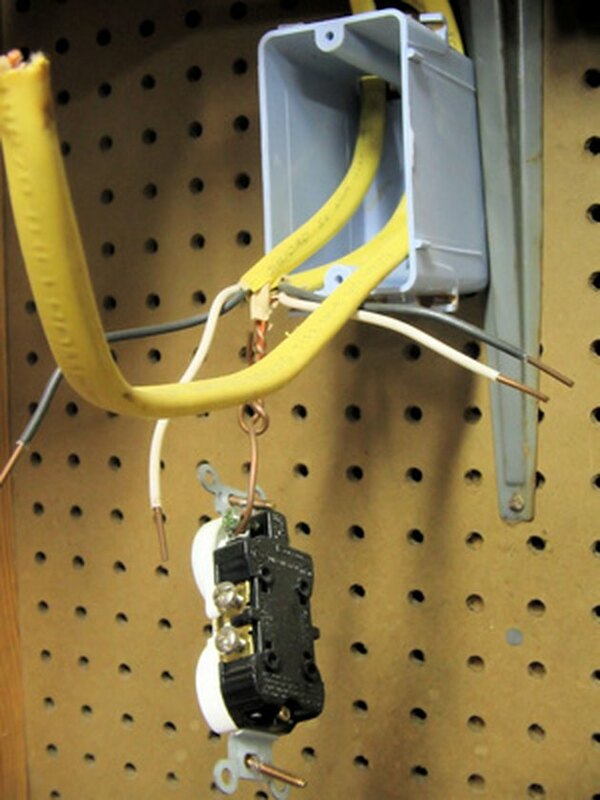 Common applications for this 12-gauge wire are receptacles and three-way circuits. Larger appliances, such as a microwave or welder, require the additional power this wire delivers. There is a significant weight difference between the 14- and 12-gauge ROMEX®. White ROMEX® with two wires, 14-2, weighs 57 pounds for every 1,000 feet of wire. With three wires, 14-3, the weight increases to 74 pounds. Compare this to the weight of yellow ROMEX® at 82 pounds. for 12-2 and 107 pounds for 12-3 wire.